You and your kids will be dancing, singing, jumping, and eating, at a fun family day for a good cause these school holidays. 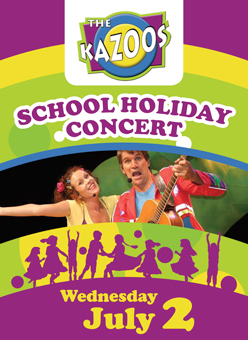 One of Melbourne's most popular and loved independent children's entertainment acts, The Kazoos are coming to Cheltenham, Victoria, on Wednesday, 2 July. 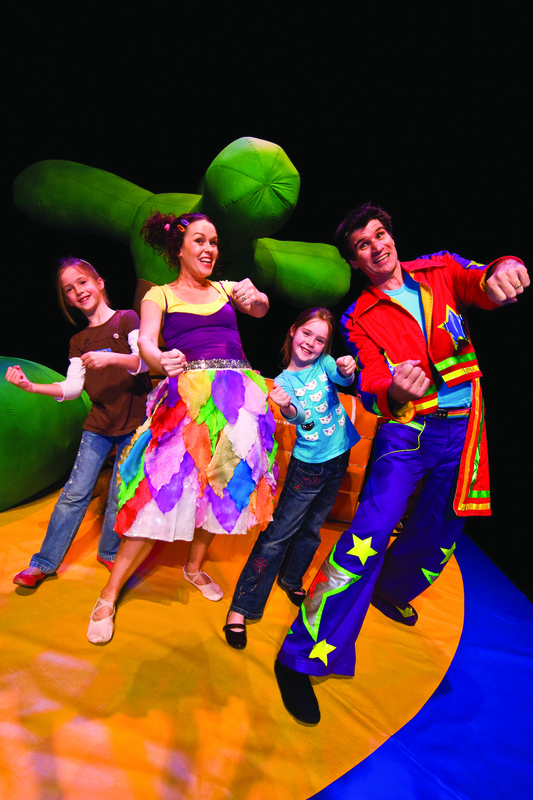 The Kazoos stage show is based on the foundations of good old-fashioned entertainment, featuring songs that fuel the imagination, and encourage active learning. 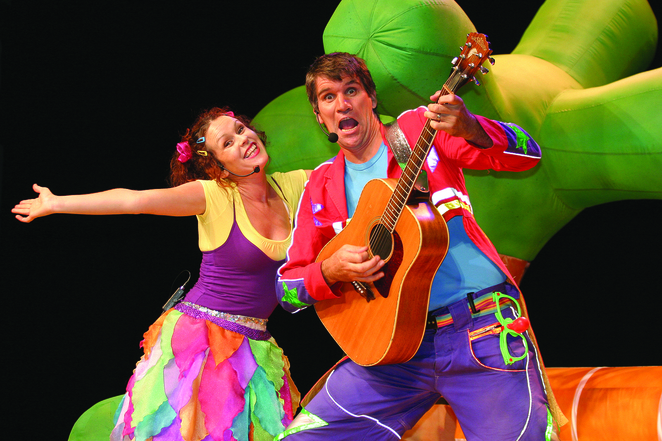 Children from toddlers to early primary age will have a blast; just ask ARIA award winner Kasey Chambers: "My kids just can't get enough of The Kazoos". Chris Cheney (The Living End) says, "My daughter is so star struck by The Kazoos, they might as well be The Beatles." Michael Klim and his wife Lindy recently said, "Our children are absolutely obsessed with The Kazoos". Professor Silly and Tulip Kazoo will have everyone dancing and singing to their infectious tunes, as kids listen, learn and participate in the live show. The entry fee of $5 per person goes to support the Bayside Forever Home in South Africa; the home cares for ten children who were previously abandoned, many due to AIDS. The children have now become part of a loving family environment with the opportunity to live a full life. Snacks, a sausage sizzle lunch, face painting, and a jumping castle: all included in your $5 entry. Why? To attend a fun family day for a good cause: raising funds for an orphanage home in South Africa.